Get updated yourself with comprehensive learning stuff. 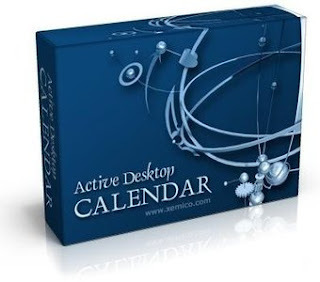 Active Desktop Calendar is fully customizable calendar features notes, tasks, alarms, and displays its data on your desktop through blending with existing wallpaper. You can organize your data in layers and share them with other people on a local area network. The program can integrate with Outlook and show its appointments and tasks on the desktop. If you synchronize your PDA device (Pocket PC, Palm, smartphone) with Outlook then through this connection you also get a synchronization with PDA as a side effect. There are options for changing calendar icons, fonts and colors, marking weekdays of choice and marking dates with notes and/or alarms. You can have a text only version of the calendar and choose between displaying one, two or three months on the desktop.